The Anasazi people, ancient natives of the four corners region of the Colorado Plateau, drew pictographs and carved petroglyphs which often depicted stories of humans and animals. 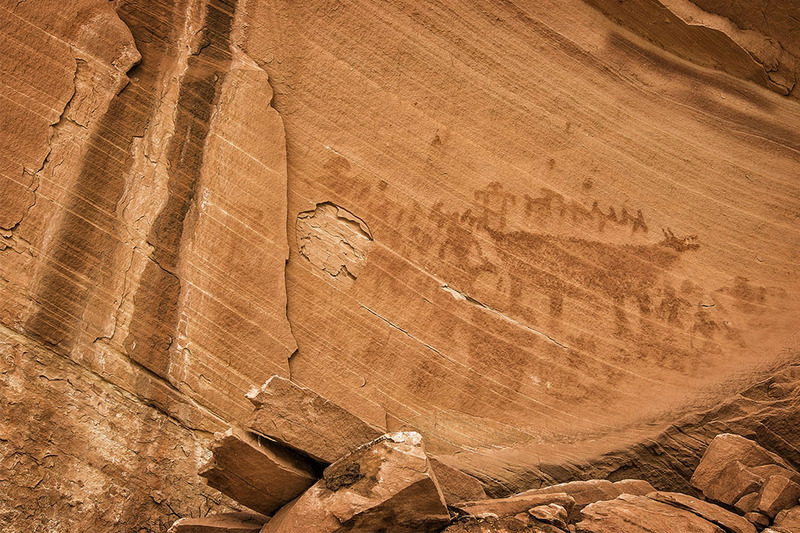 Many thousands of rock art sites are scattered across the region but none are as large and impressive as this pictograph of what appears to be a large bear, surrounded by human figures. This photograph does not do this scene justice as this ancient rock art panel is easily 20 feet across.